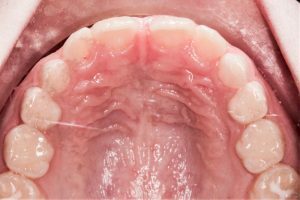 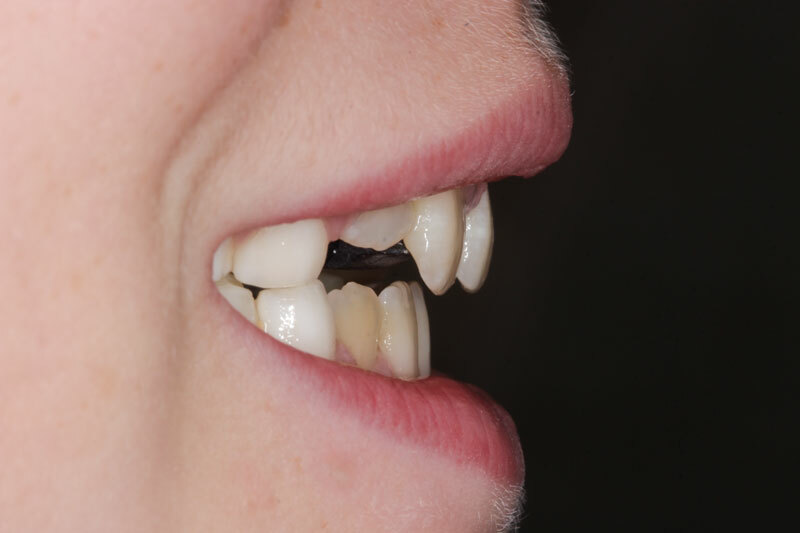 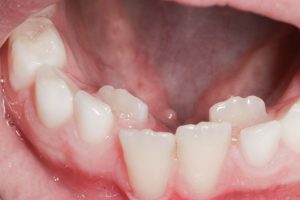 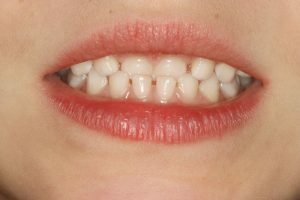 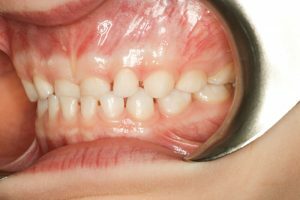 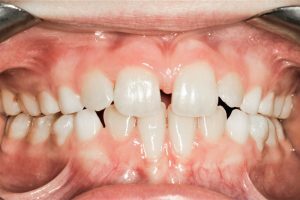 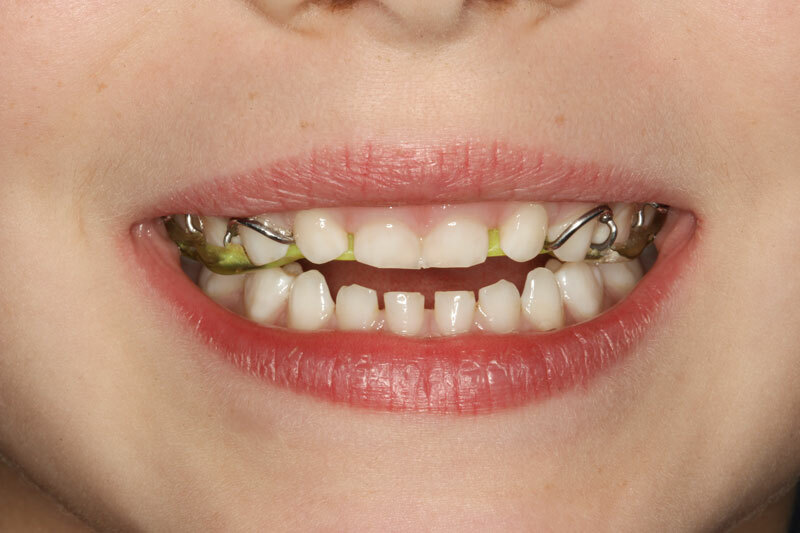 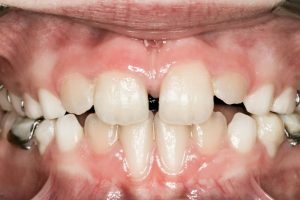 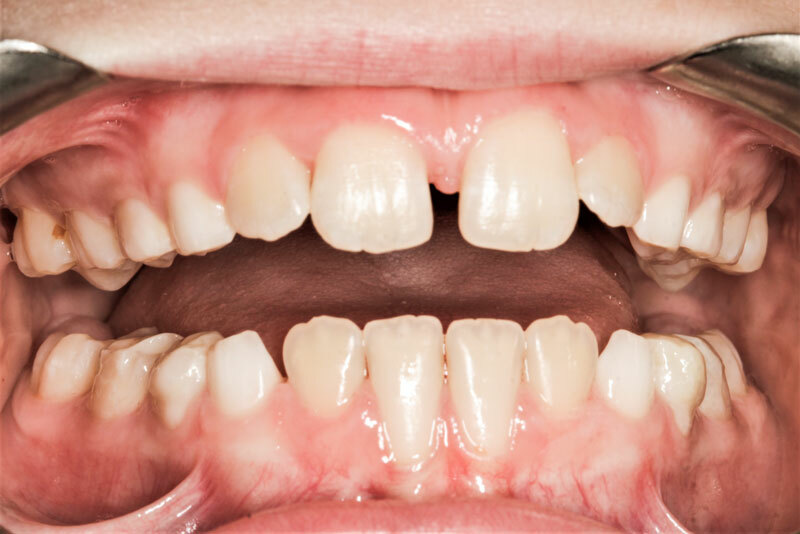 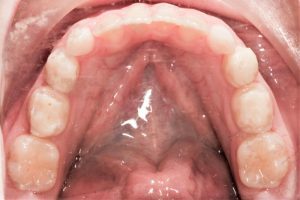 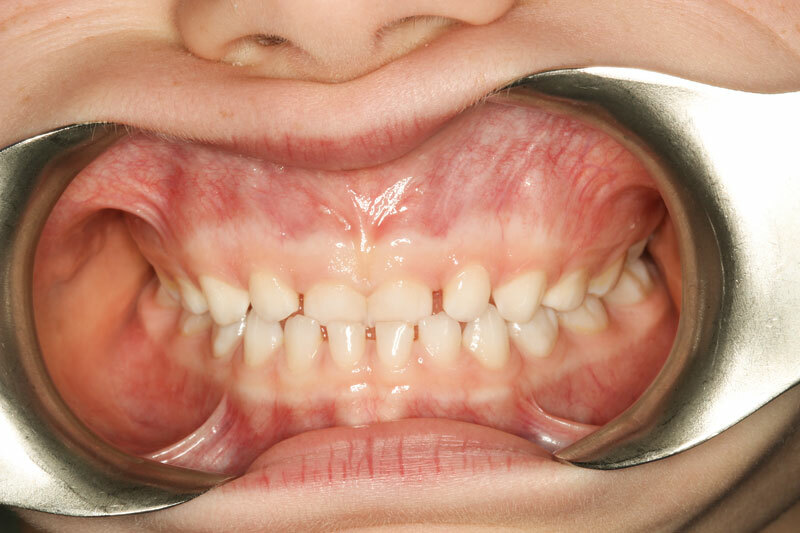 When a crossbite is detected,such as on the front teeth of this young girl of 5, it calls for immediate intervention, as complications may arise if left untreated. 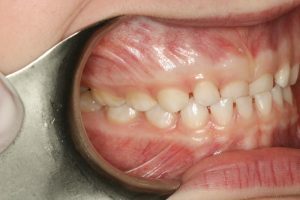 Click on image for bigger view – Press ESC to exit. 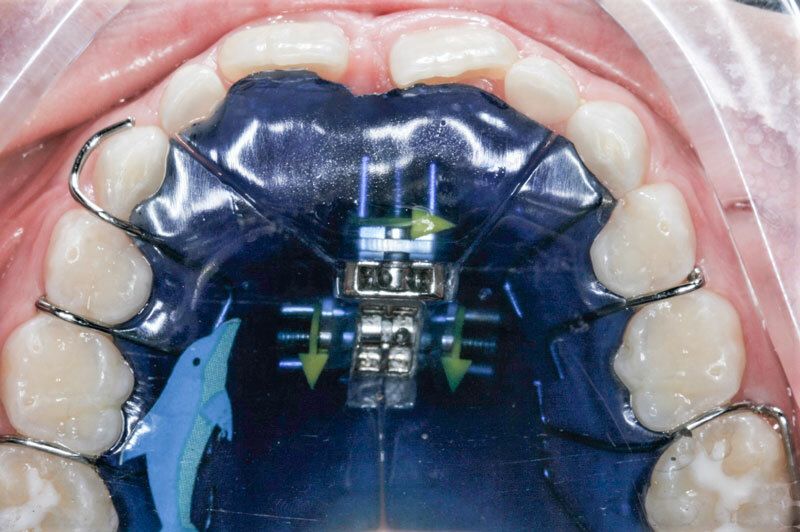 A simple appliance such as this three-way expander is one efficient way to address it. 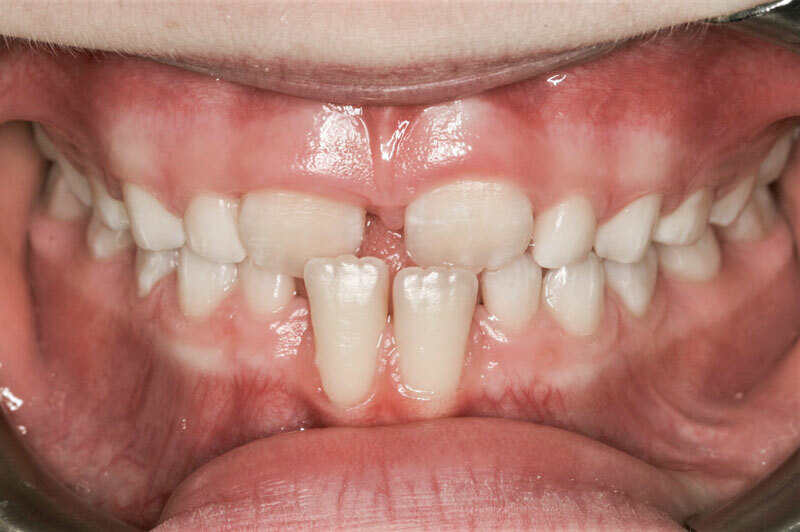 After a few months, the crossbite is resolved, and the two lower permanent incisors are coming in. 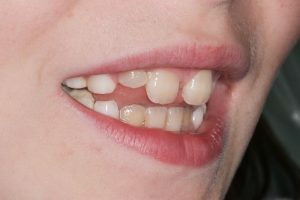 More than a year later, it seems the permanent teeth locked into a crossbite too. 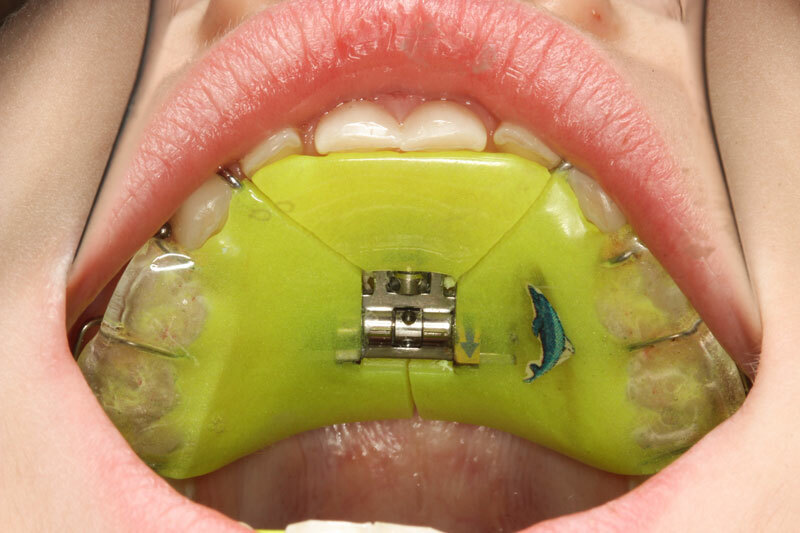 A three-way expander therapy was initiated again. 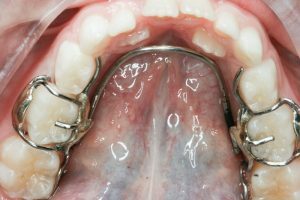 Since we are also expanding the arches at a slow rate, a lower crozat expander was fitted to address crowding on the lower arch. 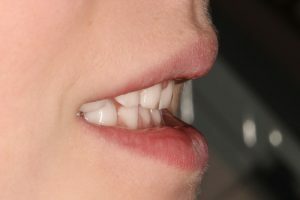 After a few months, the crossbite is resolved. 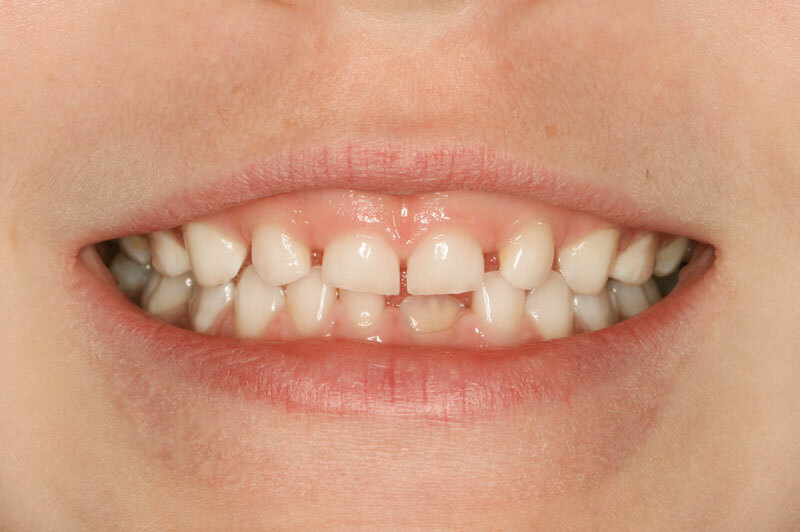 All the front incisors are now aligned properly, and there is less crowding, but they need to settle. 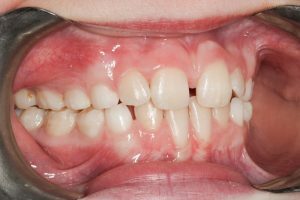 The arches continue to be developed and expanded with appliances for a few more months, at a slower rate to prevent relapse. Treatment is complete and acceptable without resorting to braces. 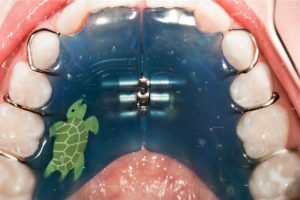 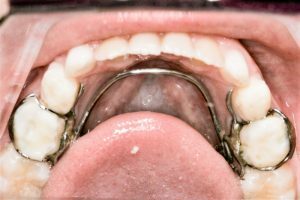 The child will now be observed if braces will be needed after the remaining baby teeth are replaced.